As my look at 1994: The Most Important Year of the Nineties continues, it’s time to take a look at the comic books. Joining me for this endeavor is Michael Bailey of Views from the Longbox (among other podcasts). 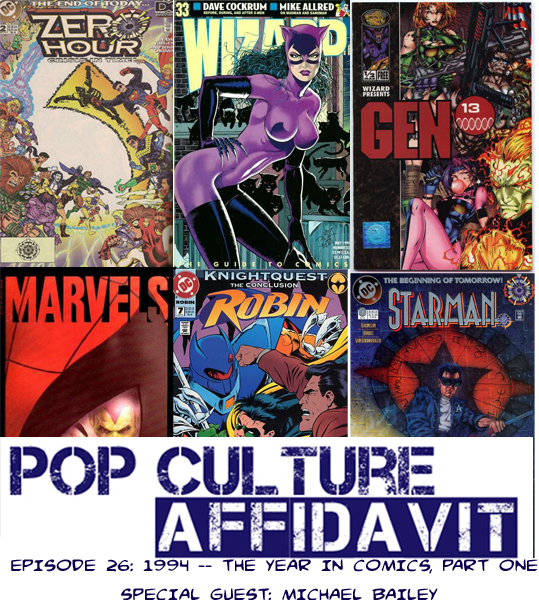 In this two-parter, we’re going to talk about the comics industry of the 1990s, what the big releases were in 1994 as well as what our favorite books were that year.